Product information "POPP Flood / Water Leakage Sensor"
A broken hose at the washing machine or a leaking pipe at the water tap. Even if there is only a small leckage it can cause a big damage. The POPP Water Leckage Sensor is protecting you from that. As soon as the device detects water at his probes an acustic alarm is triggered. Additionally, the LED starts blinking and the alarm signal is sent to the Z-Wave gateway. Because of that, you receive a message on your smartphone and you can act immediately even when you are not at home. Therefore you can prevent high damages because of water. 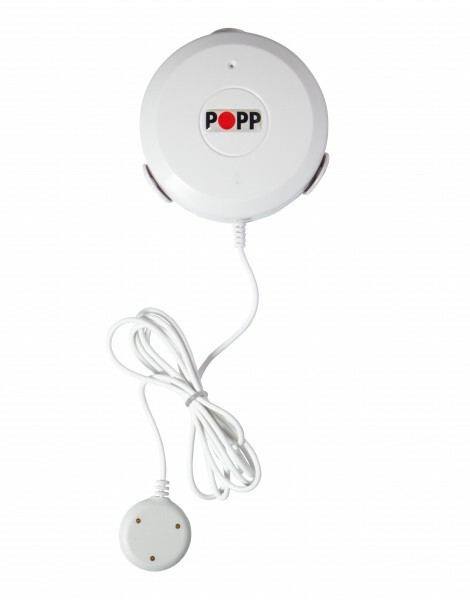 Connected to other smart devices like the POPP Flow Stop you can even turn off the water automatically, if there is a leakage in a water pipe. 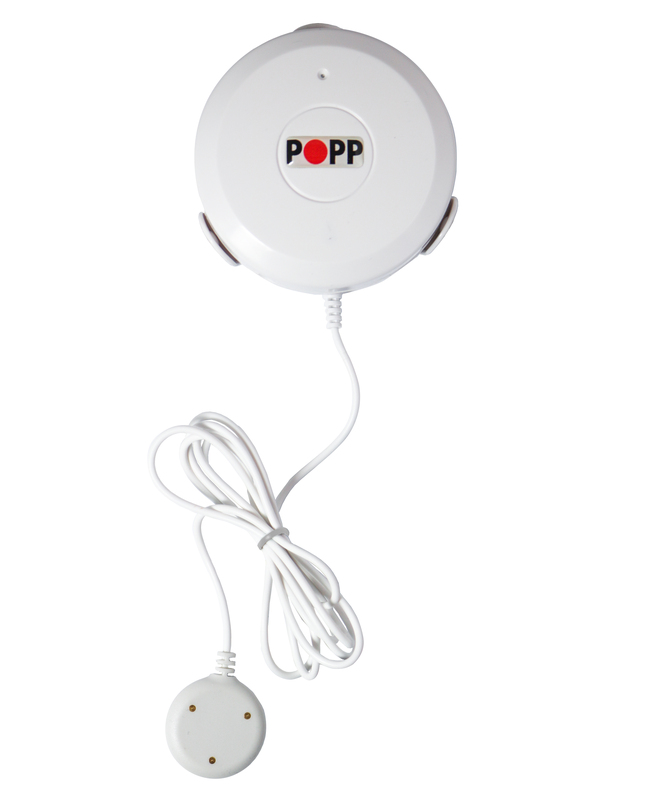 The POPP Water Leakage Sensor can be placed underneath a washing machine or a sink. If there is not enough space for the main device you can use the included sensor cable with extra wall mounting plate. The sensor is water resistant and floats (protection class IP44). Thus, it is also suitable for outdoor use. 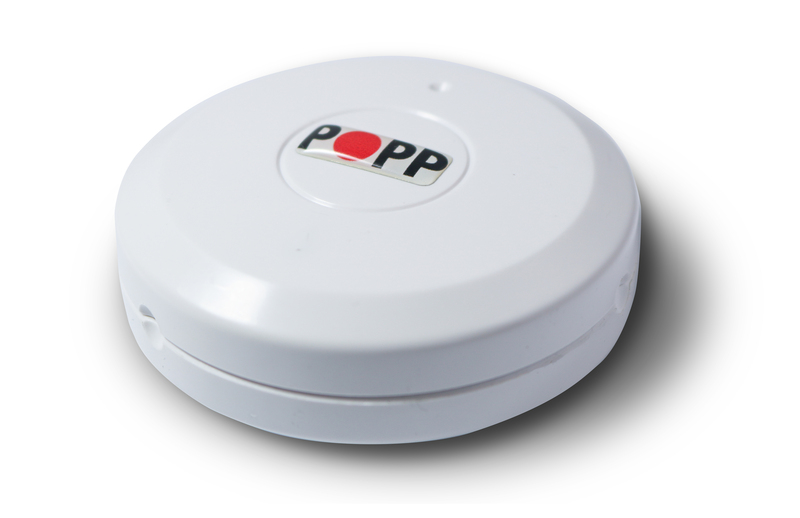 Related links to "POPP Flood / Water Leakage Sensor"